As many may have read, the Michigan State Waterways Commission (MSWC) recently proposed that canoes, kayaks and other paddle vessels be subject to a $10 state registration fee. The MSWC passed Resolution 02-2018-01, which recommended a registration requirement, along with the $10 fee for all rigid-hulled kayaks, canoes and paddleboards eight feet or longer. Such vessels are currently exempt from registration fees when used recreationally. At first glance, this seemed like it may be a workable idea. Most vessel registration fees go toward lake patrols, among other safety measures and launch maintenance. It is assumed funds raised by the new fee would go toward similar efforts. However, those who enjoy canoeing and kayaking often prefer rivers or streams to lakes and typically do not need a specialized launch site. Most people simply set their canoe or kayak in the water, hop in and go. Also, those who choose to enjoy Michigan’s beautiful public waterways pay for a state recreation passport, which also helps maintain state launch sites. This means those who prefer paddle crafts will see little, if any, benefit from a registration fee. I was happy to join my colleagues in supporting Senate Resolution 153, which formally opposes any effort from the MSWC toward implementing a new fee or registration on such vessels. Any registration requirement and fee must be implemented by the Legislature and because of the vast opposition to their recommendation, MSWC recently announced that it will no longer be pursuing any type of registration or fee on paddle crafts at this time. Paddle sports are exploding in popularity, especially in northern Michigan and the Upper Peninsula. I see no reason to add another obstacle for residents who want to enjoy some of the most beautiful and scenic waterways in the world, or to hinder our incredible tourism industry by imposing such fees. An additional tax on people who want to go outdoors, get some fresh air and enjoy Pure Michigan is completely unnecessary and sends the wrong message to our children. We need to teach our children that Michigan’s outdoors are to be enjoyed responsibly. For generations, families in my district have been enjoying the water and I was happy not only to see the support of my fellow legislators for this resolution, but to hear of the MSWC dropping their plans to pursue any new fees at this time. I hope to see even more people out on the water this summer! 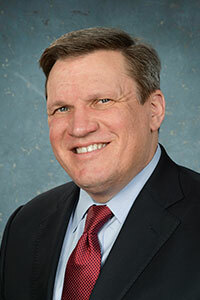 Sen. Wayne Schmidt, R-Traverse City, represents the 37th state Senate District, which includes Antrim, Charlevoix, Cheboygan, Chippewa, Emmet, Grand Traverse, Luce and Mackinac counties.